A deceptively quiet-looking Dallas City Hall. Photo by Kelsey Shoemaker. Public safety. Affordable housing. Transportation. Fair Park. The next mayor will oversee a turning point in the city's history. The Dallas City Council is on its summer break this month, but when it returns to the horseshoe in August there will only be a few months before campaigning for the next mayoral election really kicks into gear. This week, Oak Cliff businessman Albert Black became the first candidate to file to run. More than a dozen are expected to follow him. The 2019 election will unquestionably be a significant moment in the history of the city. The election of a mayor—even a “weak” mayor, as Dallas has in relation to its city manager—always promises to set the tone and agenda of the council body for the next eight years. But the May 2019 election will also be the second election cycle in which sitting council members will likely be challenged for their seats. In the past, Dallas’ political custom of not running candidates to challenge sitting council members turned the council seats into de facto eight-year terms. In 2017, this changed, and for the first time, sitting council members were voted out of office before they served their term limits. This break with the past set up a new political dynamic in the city. For the first time in Dallas history, council voting factions that resembles a party-based approach to policymaking has taken hold. This trend will likely deepen in 2019, with the potential to shift the city further away from business-as-usual decision making that favors the same old entrenched interests. Clearly the major crisis facing the future of the city is the status of the police department. It is too soon to judge whether new Chief U. Reneé Hall will be able to rebuild the morale and staff of the department following the pension crisis and the mass exodus of officers. Candidates running in 2019 must emphasize a multi-faceted approach to dealing with the policing problem. Candidates will need concrete proposals (and not merely promises) for how to ensure officers that their sacrifice to protect the city will be compensated. They should include non-traditional ideas such as ways to offer public servants affordable housing within the city. Broadnax isn’t afraid to tell the mayor he doesn’t like one of his ideas. 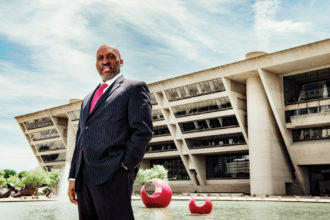 City Manager TC Broadnax’s new council regime helped usher through a new housing plan for Dallas, a remarkable step for a city that has never had a true housing policy. There was no better indication of the need for the plan than the fact that its passage churned up resistance from individuals who have long profited from an affordable housing system that deepened economic and racial segregation. The next council should be emboldened by the work of the current council to double down on these early efforts. The current economic environment has the potential to deepen segregation, further driving areas of the city into abject poverty while lifting others into out-of-reach neighborhoods of wealth. Policy should steer new growth toward supporting a diversity of housing opportunities throughout Dallas. Southern Dallas’ economic development is a perennial issue in Dallas city elections. And yet, generations of promises have not reversed the gross inequity that defines our divided city. Part of the problem is that the challenges that are facing southern Dallas are often misstated. Endless promises to bring new investment and development south of the Trinity never work because they don’t seriously grapple with a macroeconomic reality that has given shape to Dallas-Fort Worth. Simply put, policy since the 1950s has pushed economic investment and opportunity to the north, outside the boundaries of the city of Dallas. Dallas—and southern Dallas—will only reverse this trend when it takes advantage of the economic opportunity presented by developing a dense and vibrant city center. By far, the largest opportunity for a massive, city-changing spurt of inner city economic growth is the teardown of I-345 and the rebuilding of I-30. Planned in conjunction and with a focus on expanding access to jobs and workforce housing in land freed up by the demolition of the highway, the rebuild has the potential to bring massive amounts of jobs right to the edge of southern Dallas. A larger employment base downtown will allow for more economic opportunity for those living south of downtown, and it will begin to help to eliminate the transportation challenges that contribute to perpetuating the cycles of poverty that living in southern Dallas often entails. When those looking to invest in the city center run out of available land north of downtown, they will have to turn south, and a booming city center will begin the process of transforming the potential of development to the south. It is this kind of organic growth that will finally bring the opportunity that all the empty promises of the past never realized. 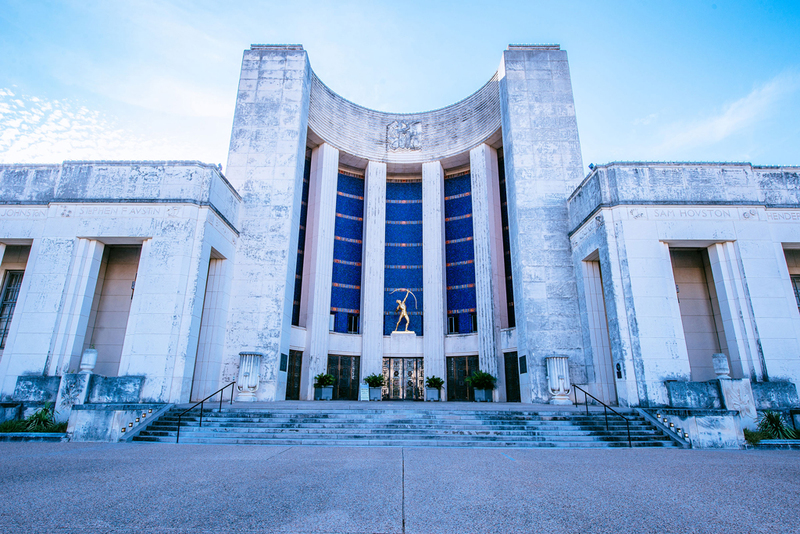 The question over the future privatization of Fair Park continues to drag on. When the mayor and his allies failed to simply hand the keys over to a private group headed by former Hunt Oil-exec Walt Humann, they began wondering if they accidentally opened themselves up to not getting what they initially bargained for. Mayor Mike Rawlings likely sees sorting out Fair Park as a must-do before he leaves office next May, but regardless of who takes over the park—or if giving the park to a private ownership group really is the best way forward—the broader issue of revitalizing Fair Park will remain. To figure out which candidates have the park’s best interests at heart, simply listen to those whose vision for the future of the park prioritizes the vitality of the surrounding neighborhoods. Only when Fair Park is better integrated into its surrounding community, which will require loosening the grip of the State Fair on park operations, will the historical art deco campus begin to emerge as the essential civic asset it could and should be. So many of the frustrations around transportation in Dallas boil down to one key historical problem: Dallas has never truly taken a lead on its own transportation fate, and it has ceded decisions about mobility to regional authorities. The result is an urban landscape in which mobility remains one of the driving factors in economic and social opportunity. The problem with transportation is that meaningful change often comes incrementally over a long period of time, but Dallas needs solutions to its transportation challenges that can be realized yesterday. The best opportunity for achieving improved mobility in the short term comes through addressing bus and bike transit. The city should extend its push to force DART to redo its inner-city bus network to make the system more reliable and functional. The city should also capitalize on the excitement around bikeshare to expand its bike infrastructure and expand access to cycling. Within a single mayoral term, improvements in these areas could revolutionize the way people in Dallas get around. Does the Trinity River still need to be a top priority project for the city? After more than a century of debate, there is something of a clear policy set for the future of the river, which has been dreamed as everything from a shipping canal to a Central Park-style civic green. But even as the Trinity Park Conservancy moves ahead with its plans to build a starchitect-designed park in between the Ronald Kirk Pedestrian Bridge and I-30’s Margaret McDermott, the massive Trinity watershed lays without a clear path forward. How do we manage the rest of the floodway downtown? How do we manage the Trinity Forest? How do we bring the various trails, organizations, and bureaucratic overlays into a single vision for the Trinity? The answer lies in the re-wilding vision that we outlined in our special Trinity edition. As the Trinity Conservancy moves forward on its park, there is space to work with the Conservancy and other groups invested in the Trinity to craft clearer maintenance policy and to identify easy-win wilding projects in other parts of the Trinity. 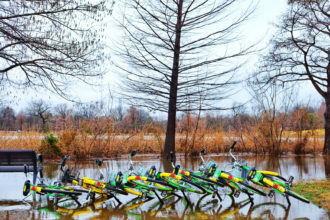 That will realize something truly remarkable for Dallas: a sprawling metropolis with a hidden secret at its heart, the largest urban nature preserve in the nation.